If you’re not American Airways, FNB, McDonalds, an acclaimed comedian or parody account, it can be hard to build a huge following on social media. People aren’t on social media to hear your stale PR pitch day after day, so you need intriguing content and a worthwhile brand to attract hundreds and thousands of loyal followers. 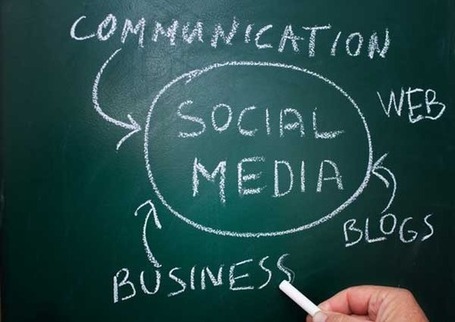 The days when we had to convince people to use social media for business purposes are over and many people have already either embraced the idea or are working towards a corporate social media strategy. One of the best tips we can give clients is you need people from within your company to help you on this journey. While it’s great (and even advisable) to have a dedicated social media team or person, it’s important to include people across the board. You should have representatives from human resources, product development, sales, customer service as well as your executive team in on your company’s social media strategy. Collaboration and participation are some of the core principles that will lead to social media success, so apply this in your social media strategy as well. Get them in on your social media plan from the get-go, don’t wait until you’ve already established your presence, social media voice and following. Selecting the right people can be tough. It’s wise to include people who are already using social media (not only do they already have a following online, but they know how the various sites work). It’s possible, however, that some of the people in our company with the best ideas will have no idea how Facebook, Twitter, Instagram or Pinterest works. In this case, it’s wise to book a social media seminar that can bring them up to speed so that they can contribute to your social media success. Want to book a social media seminar? Contact WSI OMS today.